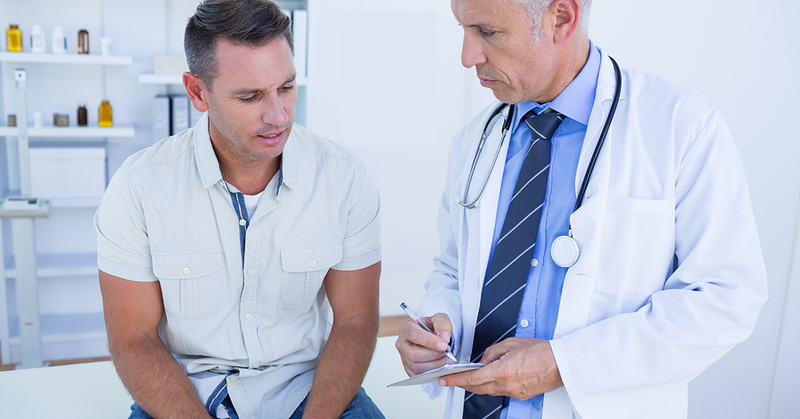 There are many misconceptions out there about testosterone replacement therapy. Perhaps it’s sensationalism in the media, testosterone’s abuse by power lifters and subsequent labels as a “controlled substance” in the 90s, or simply because it seems too good to be true, but many people fear and doubt testosterone replacement therapy. This is doing a disservice to countless men across the country and around the world, as testosterone replacement therapy could have a transformative effect on their lives. In this blog, we will go over some of the most pervasive myths about testosterone replacement therapy, and reveal the truth of the matter. MYTH: Testosterone replacement therapy is illegal. Because certain professional athletes have abused testosterone as a performance enhancing drug, there is a perception that it is illegal to use testosterone supplements. In reality, testosterone is completely legal when administered by a medical professional to treat low testosterone. If you are experiencing symptoms of low testosterone, speak with your doctor, and if the tests indicate that you require it, you can legally and safely receive testosterone replacement therapy. MYTH: Testosterone is a dangerous steroid. While anabolic steroids are derived from testosterone, they are not solely composed of the hormone. The testosterone used in testosterone replacement therapy is derived from plants and compounded to imitate the way testosterone is made in the body. In contrast, anabolic steroids are composed of testosterone plus added chemicals and other boosters. These sketchy added ingredients play no part in testosterone replacement therapy. MYTH: Testosterone replacement therapy makes you bald. This myth is due to the fact balding is linked to the conversion of testosterone to dihydrotestosterone (DHT). Testosterone transforms into DHT because of 5-alpha reductase, a naturally occurring enzyme in the body. If a man is predisposed to hair loss through genetics, he may lose his hair. However, this does not mean that a man with a genetic predisposition to balding cannot receive testosterone replacement therapy. With advanced testing, your physician at Men’s Vitality Center can help determine if this a concern, and personalize your treatment to include a supplement that reduces DHT. There is some perception that testosterone will make someone fly into violent rages; again, this misconception probably comes from illegal steroids and the phenomenon of “roid rage.” While excess testosterone is associated with aggression, men who receive testosterone replacement therapy are doing so because they have low testosterone levels and are carefully monitored by their doctor to ensure their hormone levels remain balanced. When under the care of a medical professional, you don’t have to worry about becoming out of control. MYTH: Testosterone replacement therapy causes prostate cancer. There is no conclusive evidence to suggest that testosterone replacement therapy is linked to prostate cancer. However, it is generally recommended that men with a history of prostate disease do not use testosterone replacement therapy because more research needs to be done on the impact of this therapy on prostate health. If you haven’t been feeling like yourself lately and suspect that your testosterone levels are low, Men’s Vitality Center can help. Contact us today to learn more about testosterone replacement therapy.